Zeus malware (a Trojan Horse malware) is also known as ZeuS or Zbot. This malware runs on different versions of Microsoft Windows and is intended to perform malicious activities on the victim’s computer. The main purpose of creating this malicious program was to steal banking information by man-in-the-browser keystroke logging and form grabbing. Zeus malware is also used to install CryptoLocker ransomware. The primary ways of infecting are through phishing schemes and drive-by downloads. The malware infection was first recognized stealing information from the United States Department of Transportation in 2007. By March 2009, it became the most widespread malware across the internet. According to, security company, Prevx; Zeus compromised over 74,000 FTP website accounts. This detail was brought to light in 2009. Zeus malware attacks include companies like BusinessWeek, NASA, ABC, Play.com, Bank of America, Monster.com, Amazon, and Cisco. Zeus malware tricks users of tech support scams into giving the scam artists money. The pop-up messages claim to have identified a virus in the computer, but in actuality, they might have no viruses at all. The hackers/scammers might use the Event viewer or Command prompt to make the user believe that their computer is compromised. The threat posed by Zeus decreased when its original creator retired in 2010. This paved the way for several variants to show up on the scene when the source code became public, making this distinct malware consistent and dangerous once again. Zeus malware can do a variety of things once it affects a system, however, it actually has two main sections of functionality. Primarily, it creates a botnet, which is a network of individual computers infected with malicious programs. It is managed as a group without the owners’ knowledge by a command and control server under the control of the malware’s owner. The botnet enables the owner to gather massive amounts of information or execute large-scale attacks. The malware is designed to recognize when the user is on a banking website and records the keystrokes used to log in. Now, Zeus malware has been mainly neutralized, the Trojan lives on as its components are used (and built upon) in a large number of new and emerging malware. The malware is really tough to detect, even with up-to-date antivirus as it is designed with stealth techniques to hide – this is another reason why it has become one of the largest botnets on the Internet. According to Damballa, Zeus malware infected 3.6 million PCs in the U.S.A in 2009. Thereby, it is vital to learn and share the knowledge about steering clear from such attacks. Avoid clicking on hostile or suspicious links in emails or on web sites, and always keep the antivirus protection up to date. Some antivirus software doesn’t claim to reliably prevent infection and is capable of preventing some infection attempts. Zeus malware hackers in Eastern Europe successfully infected computers across the globe using Zeus, this information was officially confirmed by the FBI in October 2010. Initially, the botnet was circulated to the victims through the email. After the user opened the emails, the malicious program stealthily installed itself on the victimized computer. After successful entry, it secretly started to capture account numbers, passwords and other important data used to log into online banking accounts. The harvested information from the victim’s computer helped the hackers take over the victims’ bank accounts and make unapproved transfers of thousands of dollars. The misappropriated funds were sent out to other accounts controlled by a network of money mules who received a commission for their assistance. The hackers recruited money mules from overseas to play it safe. The money mule account operators created bank accounts using fake documents and false names. As soon as the money was transferred to their accounts, they encashed and smuggled it to the hackers or wired it to them. The FBI arrested over 90 people in the US, and 10 in the UK and Ukraine on charges of conspiracy to commit bank fraud and money laundering. The gang swindled approximately $70 million. Hamza Bendelladj, a Thailand national, was arrested in 2013 and deported to Atlanta, Georgia, USA. He was known as Bx1 online who was the mastermind behind Zeus attacks. He was held responsible for operating SpyEye – a bot functionally similar to ZeuS. He was also suspected of operating Zeus botnets. The Online fraudster was charged with several counts of wire fraud, computer fraud and abuse. The official papers from the court declared that between 2009 and 2011 Bendelladj and others developed, marketed, and sold various versions of the SpyEye virus. They also sold the component parts online which helped the other online criminals customize their versions to add methods of collecting victims’ personal and financial information. He was also accused of advertising SpyEye on the online forums devoted to cyber and other crimes. The SpyEye botnet control server was based in Atlanta and the charges in Georgia relate only to SpyEye. Do you need protection against Zeus-malware? How to Protect Endpoints from a Zeus Malware Attack? As the old saying goes – “prevention is better than cure,” it is best to stay protected through safe internet practices. Avoid visiting websites that are unknown or suspicious, websites that deal with adult content, illegal downloads or illegal free software. The owners of these websites have no issues letting malware owners host their software on the site. On the other hand, by simply not clicking on social media messages or links in email, you can stay safe.. Treat all messages equally and if the message arrives from a source affiliated with Zeus, chances are the message could pose a possible threat. Be careful when opening e-mails or attachments from unknown sources. Since the advent of BYOD, users have been accessing corporate data from outside of the office and through preferred networks. This makes it all the more vulnerable for hackers to infiltrate through the defense systems to steal potential banking details from websites that deal with a lot of online fund transactions, e.g., e-commerce sites, banking sites, online ticket booking sites and so on. A powerful, updated antivirus solution is a must to stay away from such vulnerabilities. When it comes to the business safety, antivirus products are not a viable option. The ideal way to disarm Zeus malware is to have an advanced endpoint protection system in place. Comodo Advanced Endpoint protection (AEP) is such a solution which provides real-time protection for all of your endpoints. Comodo AEP isolates malware (including ransomware) from penetrating your company’s local area network at the device layer and executes them in an isolated or restricted system environment. It is the most intelligent endpoint protection solution that offers multiple layers of protection against both known and unknown threats. Basically, the Advanced Endpoint Protection can easily scan the endpoints and remove the malware if it already exists on the device. Host Intrusion Prevention System (HIPS) – It blocks malicious activities by monitoring the behavior of the code. Containment Technology – This works on Artificial Intelligence and moves the unknown files in a virtual isolated container. This file is later analyzed and the intention of the file is known. It ensures that the users can run programs and applications on their enterprise endpoints; however, the known good applications run as usual while the unknown suspicious files run in the virtual environment. IT and Security Manager – It is a single console to ensure efficient IT security and device management. It provides a complete report on the status of each device and its level of security. The Zeus Trojan has infected millions of computers across the globe in a relatively short time. The original creator is no longer running Zeus Malware however, the code is still very much available online to customize per hacker needs. In order to prevent, the corporate networks and endpoints falling victim to the financial data theft, it we recommend choosing Comodo AEP. For further details on Comodo Advanced Endpoint Protection, contact us at EnterpriseSolutions@comodo.com or +1 888-256-2608. The history roots back to mid-1970’s when Moris worm was considered to be the most dangerous vulnerability to infect any business network. However, the code which was initially developed to measure and check the Web traffic was flawed and therefore infected around 10% of the Unix-based systems connected to the Internet. This gave way to the birth of zero-day attacks which is deployed by hackers to identify security flaws in any software and to effectively exploit it. From then, hackers have taken zero-day attacks to the next level and the number of exploits shot up high in 2014, found concluding that about 15435 exploits were infecting 3870 software from 500 software vendors. Cybercriminals have created sophisticated mechanisms to merchandise such zero-day exploits in order to benefit the underworld participants and gain access to valuable data from organizations, ethical hackers and sometimes from government intelligence agencies. It is quite challenging to identify zero-day attacks, most commonly, with the old school traditional methods where the IT experts set up security measures through URL reputation and malware signatures. Nevertheless, security experts do not own a specific definition malware signature or a URL reputation and its always unknown. Cyber thieves are nerds embracing skills to create new and sophisticated malware that can be concealed from the users’ eyes and it stays inside the victim’s system causing damage to the system and they use it as a bait to extract sensitive information. Understanding the complexity of zero-day attacks, protection mechanism based on the system’s operating system level becomes inefficient, while zero-day attacks work smarter to surpass the organization’s defensive mechanisms. Windows: A security expert from Google identified a zero-day threat in the recent support releases of Windows OS. He also admits that the software code was flawed for the past 20 years. Java: There has been a release on the recent patch security fix to address the vulnerability issue on Java platform of Windows and Mac devices and are considered vulnerable to such zero-day risks. Acrobat Reader: There was also a zero-day exploit that managed to get into the sandboxed platform of the Acrobat reader 10 and 11 in the recent past. Hence it is evident that zero-day exploits manage to spy around virtually. Hackers are always roll trying to identify and exploit the vulnerability of the user’s software to sneak into the system and impose an attack and to steal data. Software vendors release security patch fixes, it is recommended for the user to update the security patches when they are released. Deploy a Web Application Firewall (WAF) to ensure website security. The WAF entitles the user to detect malware attacks against any websites. Install a feature rich Internet Security Suite that incorporates sandboxing techniques, default deny protection, antivirus along with other novel security approaches. Comodo Advanced Endpoint Protection offers an avant-garde solution and requires users to secure endpoints from the most threatening zero-day threats. It features artificial intelligence through a robust mechanism called containment technology to move the malware to a sandboxed environment preventing it to take control of the system. The malware or the suspicious file is run in the sandboxed virtual environment and analyzed; then sent to the verdict system called Valkyrie to get a verdict of the unknown files. All this is done while the system’s original content and the other normal operations are not infected. There is no better way to prevent and stay ahead of the most threatening zero-day attacks. ironclad gates to keep the intruder out in order to keep our offices safe is no longer sufficient. Our computers and the networks in which they are hosted too need protection from the digital thieves of today. Because as we have evolved, with our computers and technology, the hacking community too has evolved. In this blog, let’s take a look at what’s trending when it comes to enterprise security in 2019. There’s no enterprise security without endpoint security these days. Because there are no enterprise networks without mobile devices connecting to them. 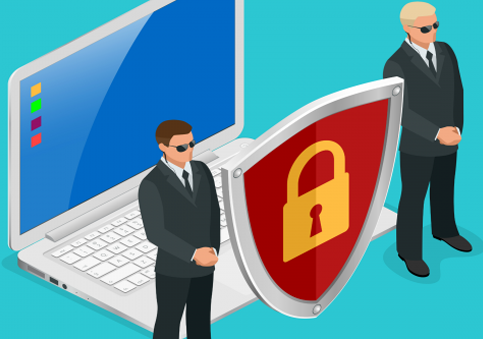 And therefore, not surprisingly, 2019 has seen a surge in the adoption of endpoint protection tools. Tools like our very own Comodo Advanced Endpoint Protection play a crucial role in keeping enterprise endpoints safe not only from different types of malware attacks but from unpredictable zero-day threats too. DevSecOps has been the latest revelation. It tries to integrate development, security and, operations – 3 different organizational silos with each other, thereby tries to provide a new way for cross-functional teams to work together and thus increase the organization productivity. This new approach taken by DevSecOps ensures new services are brought to production faster than legacy approaches. To give a simple example, access control like attribute-based access control (ABAC) can be automated using DevSecOps. The frantic shift towards the cloud because of the advantages it poses to various enterprises has given rise to the need for securing this cloud transformation. In other words, the demand for cloud-native security products has witnessed a sharp increase. A vital security layer which should be part of all cloud-native security products is the use of ABAC (attribute-based access control) model. Regulatory compliance becomes even more stringent and complex with the introduction of GDPR (General Data Protection Regulation). GDPR is a part of European Union (EU) law aimed at protecting the rights and the privacy of those who are part of it (the 28 member states). Again, the use of ABAC (attribute-based access control) model can play a huge role in enforcing the GDPR regulations. As more and more enterprises are adopting big data models, it becomes crucial to adopt the necessary security measures as well. For example, protection of personally identifiable information (PII) and other such regulated data, while also being able to share the same securely is important. Many organizations have figured out that the best way to secure big data is by following a policy-based approach for access control, as it ensures that only those who are authorized to access sensitive information will be able to access it. This is pretty obvious and expected one. As technology advances, so do the security threats. And believe it or not, the most important of them of all are the ones that arise from within. That is, internal security threats. Naturally, enterprises these days are adopting more sophisticated and enhanced monitoring and reporting tools to ensure that bad actors don’t go unnoticed. Identity and Access Management ensures your enterprise data gets accessed by only those who have the privileges to do so. Having IAM (Identity and Access Management) is critical because as this prevents outsiders (hackers) as well as insiders (disgruntled employees) for exploiting your enterprise critical data. Till recently RBAC (role-based access control) was highly preferred. But as business applications are becoming more complex and are usually used by users across the globe, RBAC is slowly giving way to ABAC (attribute-based access control), which is a much more secure model, meeting the demands of the modern enterprises. And as mentioned before, they are being deployed by cloud-native security applications as well. Enterprise security landscape of 2019 seems very different. But still, security tools like endpoint security still find a prominent place in it. Therefore ensure you protect your enterprise using the right kind of endpoint protection tool like Comodo Advanced Endpoint Protection and also adapt yourself to the changing times to ensure your enterprise security in 2019. Hackers find enterprises as a rich source of data, that can help them to gain their monetary benefits; as enterprises hold a complex structure of network, mobile and cloud services to associate with partners, customers and employees. However, the grass is much greener on the other side; cybercriminals find sophisticated attack mechanisms to comprise the enterprise system through endpoints connected to the enterprise network. It is therefore critical to protect the enterprise network with endpoint protection software. Do you have the right endpoint security software? If not, you’re in the right place. In this article, we will discuss what endpoint protection software is, and which endpoint security software is the best in the market. Endpoint Protection Software includes multiple security methods and techniques under one roof to ensure multi-level layer protection and is located on a centrally managed and accessible server within the network. It comprises of antivirus, firewall, intrusion prevention technique, behavior monitoring mechanism, etc. Endpoints are devices like PCs, smartphones, laptops, tablets, etc., related to the Internet of Things which are associated with the enterprise network. The endpoint protection can be claimed efficient only when the types of devices it supports and security software components comply with a certain set of protection standards. There are many endpoint security software available; however, it is critical for the enterprises to understand their security needs and specific requirements, while they can choose the right one that would best match to protect their endpoints from being compromised. Comodo AEP tops the list by providing 360-degree protection to the endpoints connected to the enterprise network both locally and virtually. It integrates a number of security techniques and products to entitle the enterprise network with complete protection. The integrated combination of on-premise and cloud-based endpoint security alongside mobile device and inventory management solutions intercepts any unknown files or programs from interfering the endpoints or the endpoint network. Host Intrusion Prevention System (HIPS) – It obstructs malicious activities by monitoring the behavior of the code. Containment Technology – This works on Artificial Intelligence and moves the unknown files in a virtual isolated container. This file is later analyzed and the intention of the file is known. VirusScope – This feature is used to monitor the complete system both inside and outside the containment. It monitors the processes that are running, checks for any malicious activities and records them if there exists any and finally removes them instantly. This is also called a Behaviour Blocker. Comodo Client –This ensures that the users can run programs and applications on their enterprise endpoints; however, the known good applications run as usual in the normal way while the unknown suspicious files are run in the virtual environment. Valkyrie – This is an advanced malware analysis system that helps to analyze the submitted file. It provides an instant verdict on the unknown process. Symantec Endpoint Protection offers instant detection and response, prevention, deception, and adaptation. The multi-layered approach of protection. Machine learning and behavior analysis. Hardening – A virtual advanced application security solution that provides a hardened isolated environment to run suspicious applications and protecting the trusted ones. Automatically classifies applications based on the risk levels of all endpoint application. Symantec Endpoint Protection has won AVTest award for Best Protection in 2016. This offers a single unified console to deliver and simplify security for business. It protects all the devices connected to the network, both on cloud and on-premises much efficiently to drive away threats. Prevents and blocks methods and techniques used by attackers to exploit the vulnerabilities of the software. Cb Defense from Carbonblack offers cloud-based antivirus and Endpoint Detection and Response to obstruct unknown and zero-day threats, non-malware attacks and ransomware. It implements a unique pattern to effectively prevent attacks and threats in any form even before it tries and enters the system. Bromium features its patented micro-virtualization technology to protect its enterprises from malware attacks. Bromium Microvisor is used for each task of the files that the user performs using unknown sources. Isolated virtual Machines to isolate suspicious user tasks into a secure environment. Gives a clear visibility of tasks running within the Virtual Machine. Most of the cyber-security products follow a default-allow approach pattern that easily allows unknown applications to run giving unrestricted access to the system; This allows the hackers to access the endpoints of the organizations’ network. Comodo Advanced Endpoint Protection gives comprehensive protection and advanced security measures to render even the most threatening sophisticated threats useless and keep hackers at bay. Endpoint security is not sufficient enough to outplay the current sophisticated threat system, as the gangsters from the underworld are on a roll with new techniques and methods to get in through the corporate network and gain access to all the corporate data. Corporate network security experts are finding it challenging to integrate different agents on endpoints as each of them have a different interface to manage. This tampers the network giving ways to breaches. Also with the new forms of ransomware and advanced persistent threats on the rise, the advent of a novel security approach is a serious concern. The inception of cloud-based security took its phase to overcome the challenges and problems of endpoint security. Cloud helps to get rid of the use of the local infrastructure and thus brings down the most tiring task of maintaining and keeping the corporate network up to date. The cloud-based system provides an organized and refined up-to-date defense system network-wide. With endpoints agents, integration and configuration is always a nightmare, however, cloud-based APIs makes it easy to unite products with its readily available integrations to generate clear visibility that helps you comprehend the actual status of the network. Managing an integration of endpoint detection and response, anti-virus, HIPS, etc. Can be strenuous and challenging. Whereas a cloud-based security system deploys a unified agent to gather data from the endpoints connected to the network. It helps to avoid the hassle of managing multiple agents while it deploys smart intelligence to deliver a well-organized security system. With BYOD taking the upper hand in today’s work environment, employees stay connected to work from anywhere and anytime. Though it benefits the employees, on one hand, it also means that there is no definite control over the users’ devices. The cloud security system prompts users on the updates irrespective of the place and time, entitling the organization to take control and mitigate security risks. Traditional antivirus slows down the devices, which reflects on the users’ productivity. The cloud delivers unlimited storage solution and processing speed and therefore it improves the productivity of the users. Attackers find new ways and methods to develop new attack vectors to escape the organizations’ security defenses. The cloud-based security systems empower the organization to filter out new suspicious files and programs to analyze and examine the source and intention of the file. With this in place, it is easier to understand and foresee whether the unknown file is genuine or a malware within a limited time span. With a traditional antivirus system, there is no clear idea of the threats being involved. However, the cloud-based security system provides the user with a clear view of the threat landscape – its behavior, mode of attack, source and the purpose of the attack. This empowers the user to understand and generate the right and sharp-witted response to encounter the attacks. Business needs instant solutions and quick responsive stimuli to stay ahead of threats. The cloud-based security system provides a global visibility to contain the identified threats in a virtual console, analyze the threat and give a verdict based on the behavior from the remote. 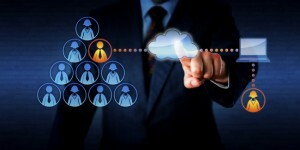 The cloud also helps to collaborate with the security-related community for support. It helps the users to gain knowledge of the current threats and its modes of infection procedures and process. While joining a forum or community, opt to be anonymous and ensure data privacy when collaborating. Maintaining an organization infrastructure is no small feat. It’s more of a challenge that businesses need to invest a lot of time and money to keep storage, computing capabilities and network updated and to make it readily available for instant and responsive solutions. The cloud-system does not have an infrastructure and brings down the burden of managing the infrastructure. So, the reasons to choose cloud-based endpoint security have broadened the spectrum of opportunities and it is ideal to say that cloud-based security is the future of endpoint security. Typical business security of today is usually antivirus and a firewall. However, today’s threats are getting much more sophisticated making this approach outdated and ineffective. Malware attacks are increasing constantly and this trend is not going to change anytime soon. Online criminals target big companies to steal identities and to inflict malware for zero-day attacks. In the present situation, signature-based products like antivirus cannot provide full coverage and it requires an Endpoint Security Antivirus to effectively ward off such attacks. An Endpoint can be a Desktop, Laptop, Mobile Phone, Tablet or Server. 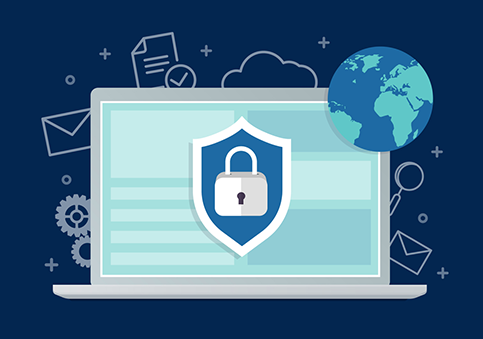 Endpoint Security or Endpoint Protection is a methodology to the safeguarding of corporate networks that are remotely connected to client devices. 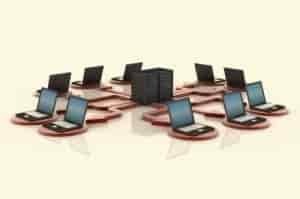 The connection of Laptops, Tablets, Mobile phones and other wireless devices to corporate networks creates an entry point for security threats. So, Endpoint Security is devised to make sure that all devices connecting to a network follow the defined level of compliance standards. 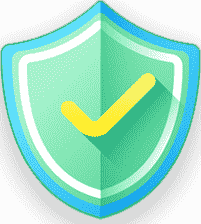 Endpoint security management systems components include an Operating System, an updated Endpoint Antivirus software, and a VPN client (Virtual Private Network). It helps administrators identify and manage both remote and local users who access over a corporate network. Endpoint Security management software approach enables administrators to restrict certain access to specific users. 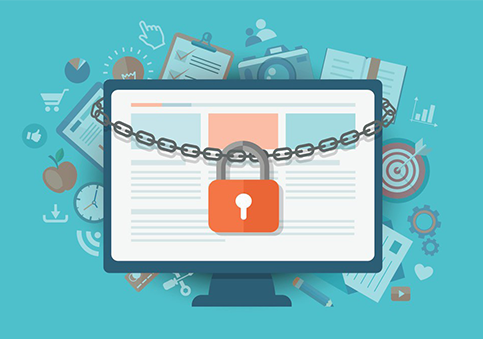 Computer devices which do not adhere to organizations policies and standards can be easily denied access or granted with limited access. Many of us get distracted by the idea that antivirus software is a complete solution for all kinds of online troubles. However, the truth is, antivirus is only one of the core components of your security systems. Simply put, an antivirus is installed on a machine, it sits in the background, and does real-time scans on emails, websites, downloaded programs, etc. The antivirus software solely depends on virus definitions and heuristics algorithms to protect your computer against online threats. 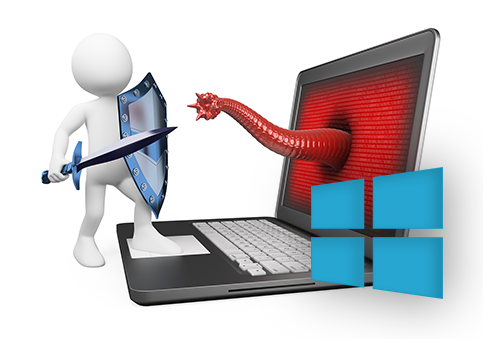 There is an essential difference between Endpoint Antivirus and Endpoint Security Antivirus programs. Centrally managed interface for configuring endpoints. Comodo Endpoint Protection ensures complete safety against internal and external threats. It combines a robust antivirus, packet filtering firewall of enterprise-class and (Defense +) an advanced host intrusion prevention system. It is more capable of providing superior protection against targeted attacks and other threat challenges.